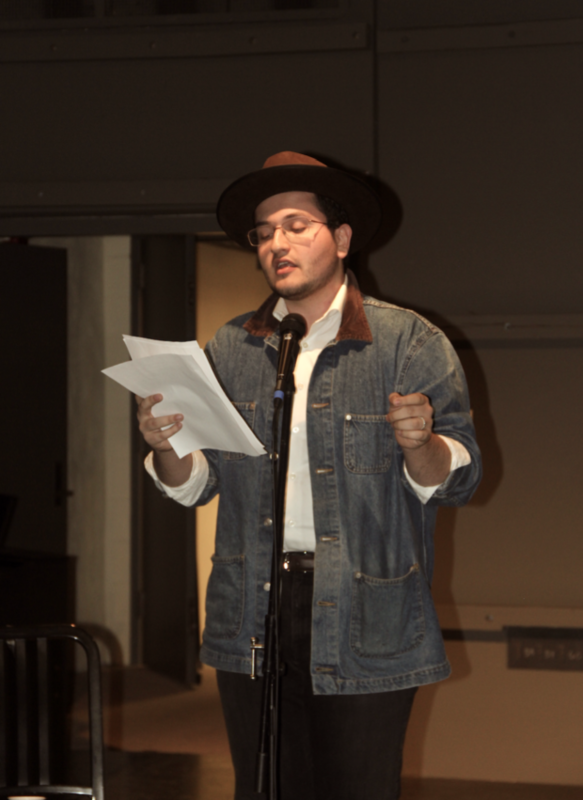 The Yale student group RISE (Refugee and Immigrant Student Education) hosted its second annual spoken word festival on March 2. RISE, formerly known as Students of Salaam, started in January of 2016 and works towards a mission of inclusion and support for New Haven’s immigrant and refugee, through several different program initiatives including in home and in-school mentorship. The event, which drew a crowd to the Davenport theater despite the inclement weather situation, featured performances centered around questions of identity and the experience of immigrants and refugees living in the United States. That speaker is Khalid Abu Dawas, a Palestinian-American second-year at NYU from San Diego, California who is well known in the collegiate slam poetry world; last year he won co-champion as a part of NYU’s team at the 2017 College Unions Poetry Slam Invitational (CUPSI). Khalid shared several pieces with the audience on Friday, including a powerful reaction piece to President Trump’s decision to recognize Jerusalem as the capital of Israel, as well as a personal piece about his grandfather. Yale’s own performers, Isaak Cueno Reyes from Voke, and Fernando Rojas with Word, both delivered similarly impactful performances. All pieces offered an interplay between English and Spanish or Arabic, which added elements of authenticity as well as defiance against the despotism of “American” culture.